Site of Potowatomi village. Vermonter Asa Clark arrived in 1836 and acquired most of the land around the northeast shore of the lake. He built a dam in 1839, also a sawmill and grist mill. The population increased as Yankee settlers arrived. Early businesses included wagon making, barrel making, a dry goods store, a blacksmith, tannery, and pump factory. Both church & school met in Clark’s parlor. The Watertown Plank Road came in 1850, and the railroad in 1854. Improved transportation gave rise to the ice industry in the 1880’s. Breweries and meat packers shipped rail cars of their products to distant markets using Pewaukee Lake ice. 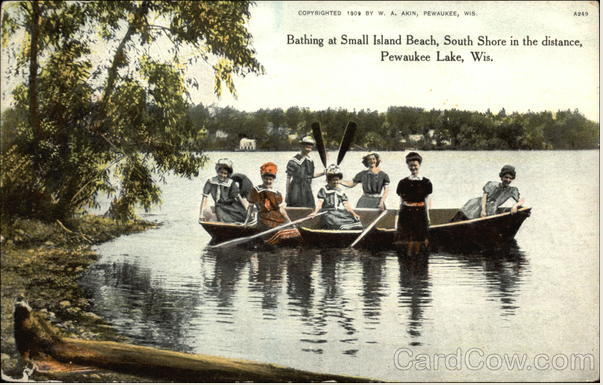 Following the Civil War Pewaukee became a summer resort area. Several large hotels were built, including the 110 room Oakton Springs, later destroyed by fire. Today Pewaukee is a friendly village of homes, churches, and small businesses, close to large cities, but retaining small town charm. The marker is mounted to the facade of the Pewaukee Beach Changing House on eastbound Wisconsin Avenue, just east of its intersection with High Street, near 257 Wisconsin Avenue, Pewaukee, Wisconsin 53072. 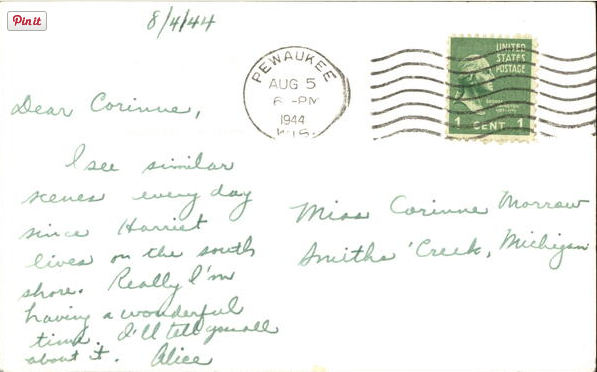 Cornell University Library: Internet Archive: The History of Waukesha County, Wisconsin. Containing an account of its settlement, growth, development and resources; an extensive and minute sketch of its cities, towns and villages--their improvements, industries, manufactories, churches, schools and societies; its war record, biographical sketches, portraits of prominent men and early settlers; the whole preceded by a history of Wisconsin, statistics of the state, and an abstract of its laws and Constitution and of the Constitution of the United States (1880). 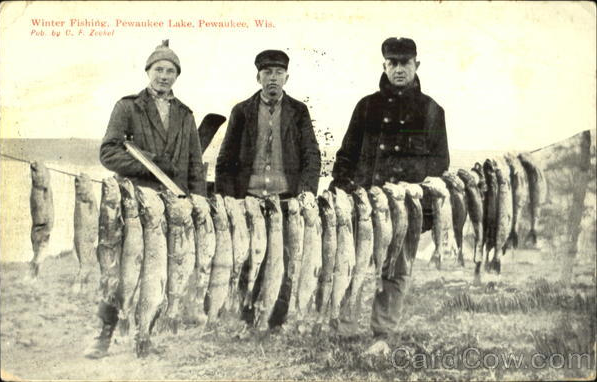 The town of Pewaukee, named after the lake within its borders, of the same name, called by the Indians Pewauk-ee-we-nink, is, historically speaking, the oldest town in the county, next to Waukesha. The Cutler brothers and Henry Luther passed the summer of 1834 in the town of Waukesha, but not the winter of 1834-35. 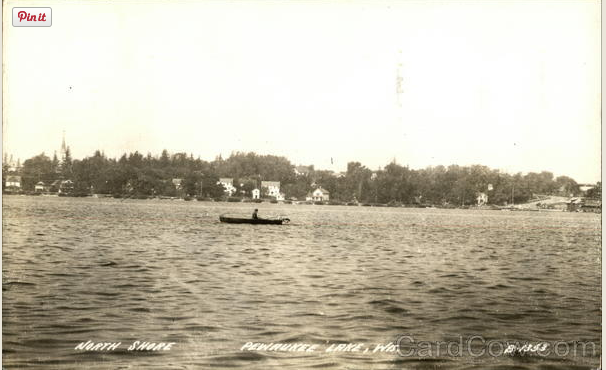 In the spring of 1835, people began settling in Pewaukee within a few weeks of the time when the Cutlers and others returned permanently to Waukesha. The town is a rich and thrifty agricultural district, which is neither hills, swamps, nor prairie. It is composed largely of glacial drift, and therefore has a more thoroughly diversified soil than any other in Waukesha County. One farm may be excellent for fruit, the adjoining one for wheat, the next for grazing, and the next for meadows. This a valuable characteristic in any town. Timber was originally found in good quantities, though Pewaukee never was as heavily timbered as some of the other towns. With good timber, a diversity of soil, excellent stone-quarries and plenty of water, Pewaukee is certainly a desirable town in which to own a farm and a home. Pewaukee separated itself from the Town of Brookfield by an act of the Territorial Legislature, approved January 13, 1840. In 1843, there were 130 school children, with a school fund of $150. The first school-teacher was a young woman, who taught in Asa Clark's house. In 1844, $75 was appropriated for the support of the poor, if any be found in the town during the year. The first death was Edgar T., a son of Ethan Owen, who was killed accidentally, in the winter of 1836, while at work in the woods. The accident was an exceedingly sad one, young Owen's head being split open by the blow of an ax in the hands of his brother. Mrs. I. B. Judson was the first woman in Pewaukee. The first birth was Uriel P., son of Nelson Owen. In 1876, Mathias Schock built the first brewery. It is of stone and is called "Fountain Brewery." In connection with the brewery is a summer garden and beer-bottling works. In 1889, Henry Bowers stabbed James O'Hara with a pitchfork. The foregoing content is in the public domain. *From A Man From Corpus Christi: The True Adventures of Two Bird Hunters and a Dog in South Texas During the Year 1887, pages 13-14, it is learned that B.F. Goss was "Captain B.F. Goss" and that his collection of eggs is mostly housed at the Milwaukee County Museum, "although he gave a great many eggs to the United States National Museum at Washington." *From The Nidologist, Volume 1 September, 1893 - December, 1894, page 65, it is learned that Captain Goss was born in Lancaster, N.H., April 24, 1823; he moved to Pewaukee at the age of 18; he served during the Civil War with Co. F, Ninth Kansas Volunteer Calvary; he returned to Pewaukee after the war, where he remained until his death (neuralgia of the heart), July 6, 1893. See also, Clark House Museum, a related marker at a nearby location. This marker is No. 26-02 in a series of historical markers erected by the Waukesha County Historical Society. Winter Fishing, Pewaukee Lake, Pewaukee, Wis.
North Shore, Pewaukee Lake, Wis.
Pewaukee Lake, behind the Pewaukee Beach Changing House. Looking west along Wisconsin Avenue. Lakefront Park in Pewaukee, Wisconsin.